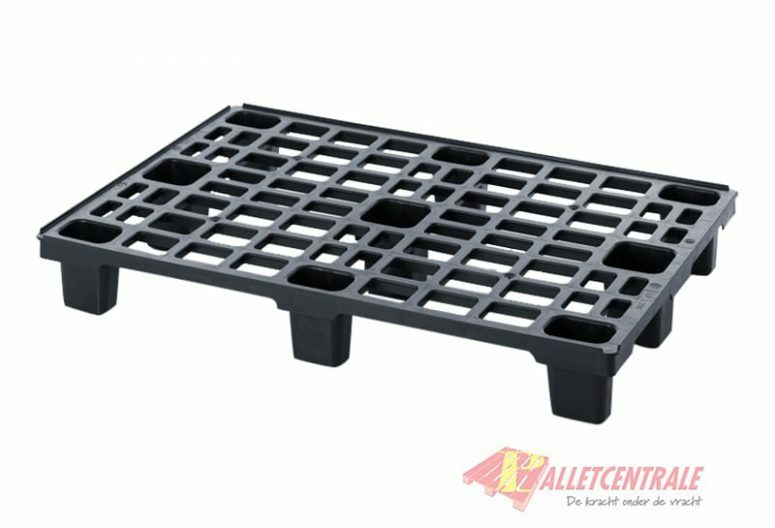 This new plastic display pallet is 80cm x 120cm in size, it is a lightweight nestable version. The lightweight pallet is characterised by its particularly low weight. 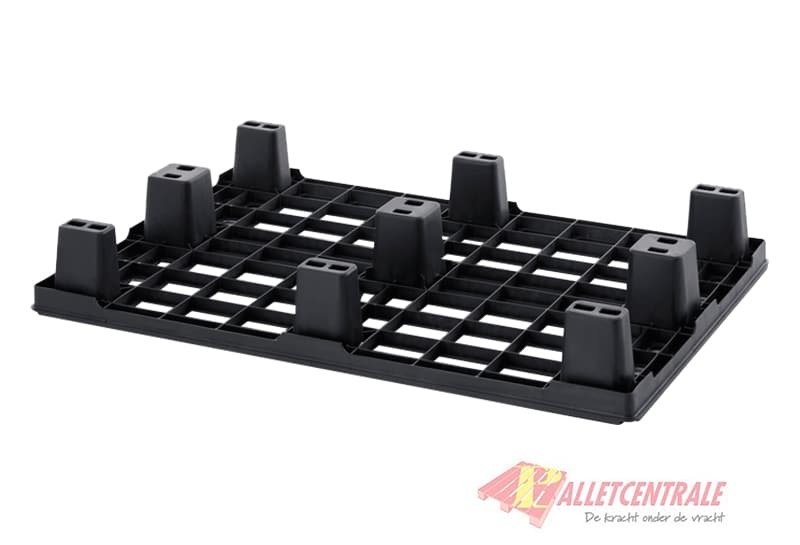 Nevertheless, it can handle a high load capacity, making this pallet suitable for worldwide transport. Thanks to the feet, the lightweight pallet can be stacked together to save space. The sliders ensure optimal stability, especially when using heavy loads. This pallet is at our locations in Moerdijk, Rotterdam, Helmond and Middenmeer, if you choose to collect, this is only possible at these locations. This pallet is delivered in 15 pieces on one stack, ordering in multiples of 15 pieces is the most advantageous.